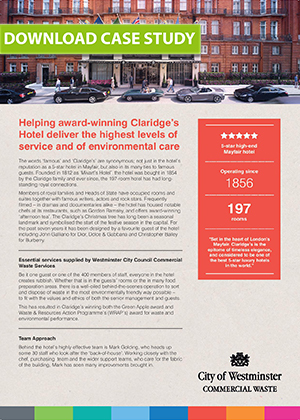 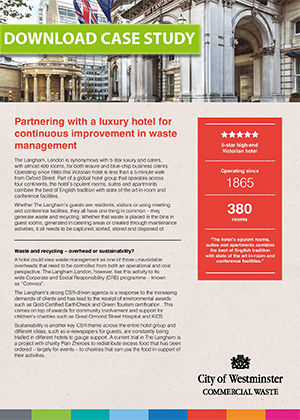 Our case studies will give you an insight into how Westminster’s Commercial Waste Services work with some of London’s business to manage waste efficiently. 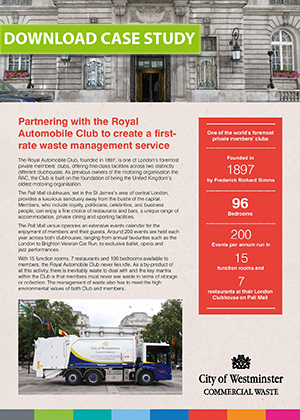 You will learn about the challenges faced regarding the disposal of waste in different sectors and how our services make this simple and efficient. 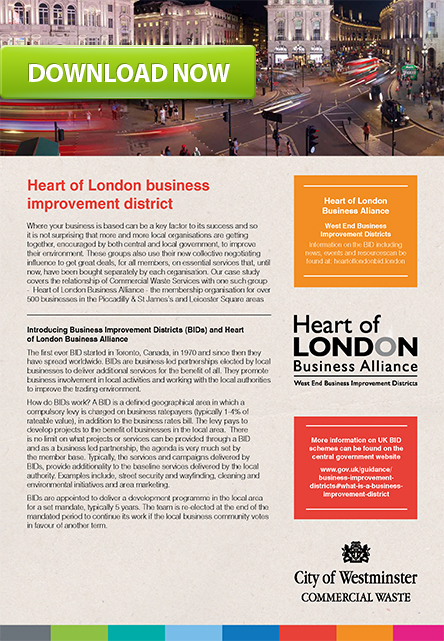 To download the Case Studies click on the images below.